Absolutely beautiful! Great job with the challenge! Oh, Pamela, what a beautiful card! 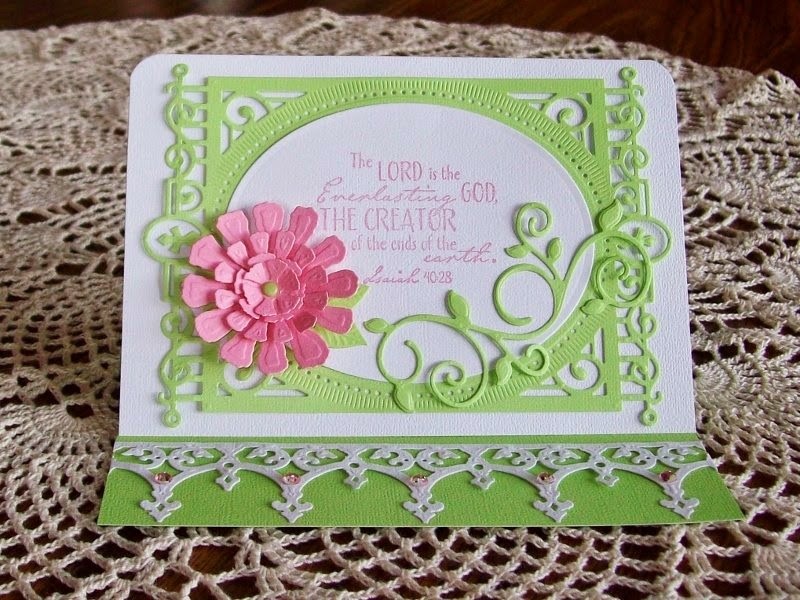 I just love your easel card and the lovely colors you've used (just love pink and green together). And your dies and borders with the pearls and the flower really showcase this wonderful verse! I'm so glad you've joined us once again this week for the ODBD Shining the Light challenge! Hugs, sweet friend! What a beautiful card! Love the dies you chose and the colors. Well done. 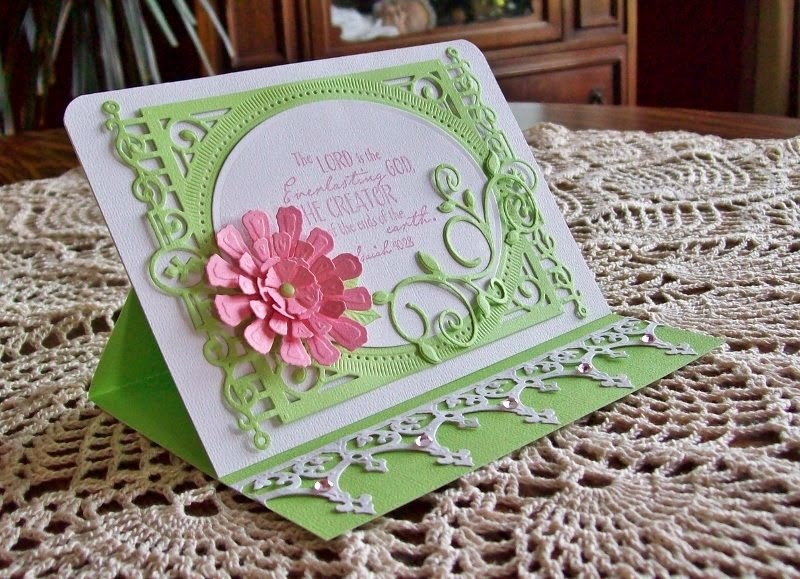 Oh, Pamela, I was excited to see this card "Spotlighted" from last week's ODBD Shining the Light challenge! Can't wait to see what you'll do this week! Hugs, sweet friend!